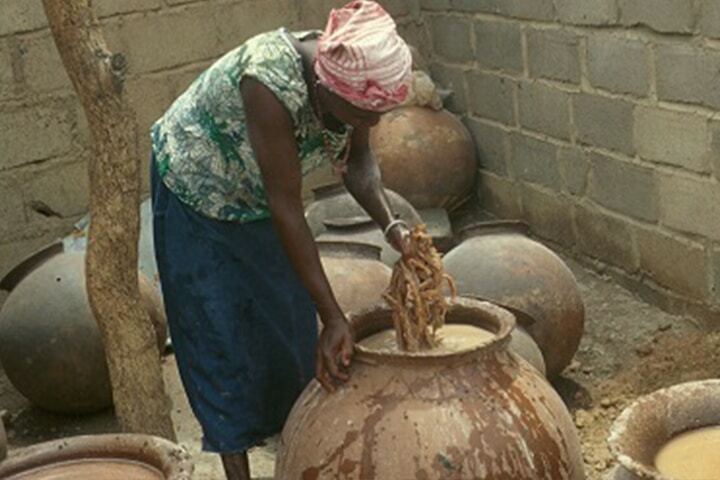 Since 1991 Danida has been supporting a partnership between researchers in Denmark, Ghana, Burkina Faso and Benin on the microbiological science of fermented food. The strong partnership has produced over 20 PhD’s and the results are used for income generation in the partner countries and in the Danish food industry. The research collaboration has resulted in the building up of capability in the African institutions to carry out research in the areas of food microbiology, food fermentation, molecular biology, food chemistry, food processing, etc. This has been through scientists exchanges, training of African scientists and students through sandwiched PhD programmes, acquisition of more advanced laboratory equipment, transfer of research techniques, etc. The Food Research Institute, Council for Scientific and Industrial Research became the first laboratory to get accreditation to ISO 17025 in West Africa. Extensive scientific information (more than a hundred papers) has been published at international level on the microbiology of indigenous African fermented foods. In 2014 Danida granted 9,997,980 DKK to the four year research project GreenGrowth. The aim of GreenGrowth is to isolate and catalogue the microbial cultures used for the fermentations and build biobanks to safeguard this microbiological heritage so it can be used to upgrade the West African food sector. The project enables the West African partners to maintain their own microbial cultures and to propagate implement starter cultures in the local food production, and create some good value chain descriptions that can boost the financial growth of local companies. Companies can contact the partners in the respective countries and ask for permission to buy and license the cultures, which can be a source of income for the country. In addition, the knowledge gained may be of benefit for the Danish production of fermented food. Read more about GreenGrowth here.